Shelter-building: Knowing how to build your own shelter is one of the most important skills that will become useful when SHTF, especially if your bug out location does not have a solid shelter. Before building a shelter, you have to know how to choose your campsite or shelter location strategically. You should also be knowledgeable on how to build a variety of shelters, such as tarp shelters, log shelters, and those from naturally available materials. There may be times when you have to abandon your bug out location without warning. Therefore, you have to learn how to build temporary shelters on the run with whatever you have. You also need to hone your knot-tying skills, ability to strip branches from a tree, and falling on a tree correctly. Navigation and signaling: The ability to navigate in familiar or unfamiliar places will come in handy following an SHTF event. You would have to learn how to navigate using a compass, topographic map, landmarks, and signs in nature. Additionally, learn how to tell time by watching the sun or stars instead of depending on your phone or watch. Learning how to forecast the weather by looking at the sky and other signs around you will be helpful. Moreover, learn various ways to signal for help. These include smoke signals, using the sun and a mirror or other reflective items, SOS Morse code, and three fires together in a straight line or triangle. Building a fire: Creating a fire is a crucial primitive survival skill. 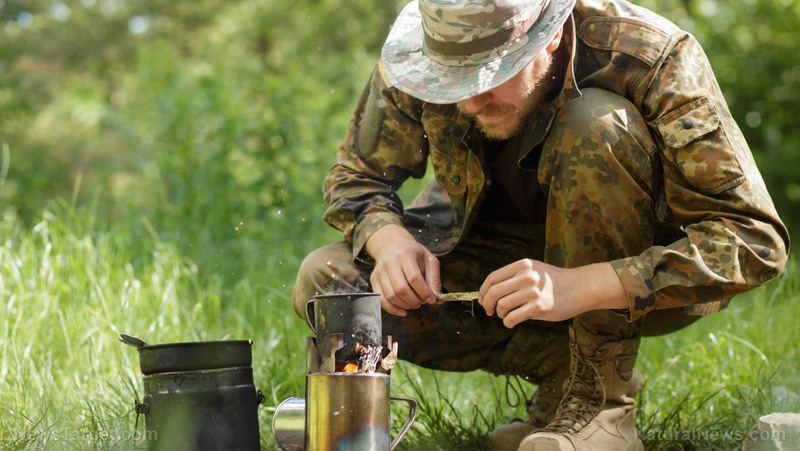 Learning how to start a fire will give you many benefits that are important in survival situations. With fire, you can stay warm, have light, cook food, and ward off predators and insects. It is also useful in signaling, purifying water, and disinfecting wounds. Learn how to find the right firewood and how to prepare it and learn how to build a tinder nest next to your fire to get it burning. You can build a fire using a bow drill, Swedish fire-torch, steel wool, or even using the sun with your glasses or a mirror. Finding clean water: A person can survive for three weeks without food, but can only live for three days without water. This is because the body is made up of at least 60 percent water and every cell in the body needs it to function properly. Water serves as a lubricant for the joints, regulates body temperature through sweating and respiration, and helps eliminate waste. Therefore, it is important to hone your skills in finding, collecting, filtering, purifying, and storing water. Foraging: The ability to find, prepare, preserve, and store food properly is critical for survival, especially for long-term survival. As early as now, take some time and effort to learn how to track animals, shoot a gun, fish, trap, snare, and use a slingshot for hunting. Learn more about survival skills by going to Survival.news.